We offer assistance with bridal portraits, and beautiful gift certificates for dove release services that will delight any recipient. 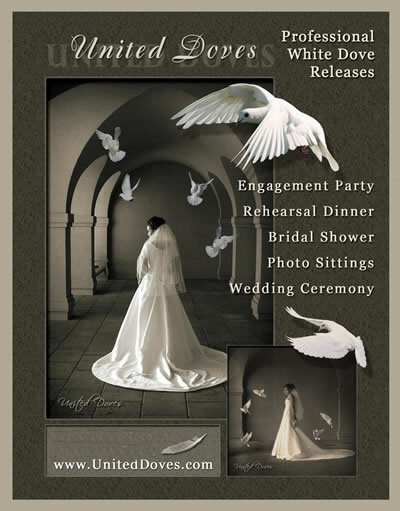 Consider adding white doves to your bridal portrait, whether it be at the engagement party, rehearsal dinner, bridal shower, wedding ceremony, or other photo sitting. 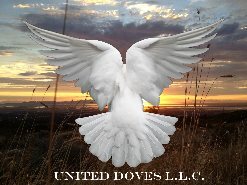 We offer beautiful gift cards for white dove release services! Please contact your nearest franchisee for details.